Navratri is an important festival dedicated to the worship of the Hindu deity Durga. The word Navaratri means 'nine nights' in Sanskrit. During these nine nights, nine forms of Devi (Goddess) are worshiped. 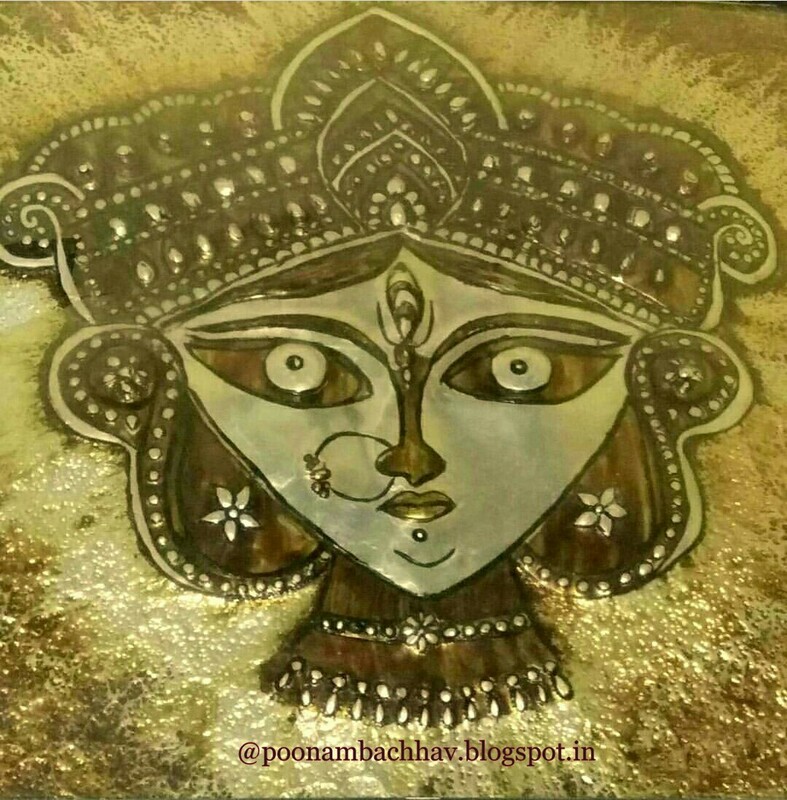 Durga Pooja is celebrated twice every year - Vasant Navratri which comes in Chaitra month (March-April) and Sharad Navratri which comes in Ashwin month (September- October) with full faith and devotion. Navratri Celebration at my home last year. Goddess dressed in 9 different colors , 6 of these dresses , i have hand stiched . This year Sharad Navratri will begin on 10th October and will end on 19th October following Dushera which is also another important festival which celebrates the victory of good over evil. Navratri is just around the corner and i am sure those who celebrate this festival must have all set to welcome the goddess in to their homes and worship her. In the Northern and Western India, devotees observe 9 days fast (vrat) during the Navratri festival, whereas in the South India devotees only worship the deity and do not observe fasting. They prepare various sundal and sweets to offer to the goddess as Naivedhyam and is then distributed as prasad (blessed food). In this post, i have tried to compile 65 recipes which are a mix of the Navratri fasting recipes , the North Indian and maharashtrian dishes that can be offered as Naivedhyam to the goddess during the festival as well as the South Indian delicacies that can be offered during the festivity. In India, this festival is celebrated in different states in their own unique way , representing their tradition and custom. In Gujarat and Maharashtra where Garbha and Dandiya nights are popular , in Northern states like Punjab Jagratas are organised during these 9 days. 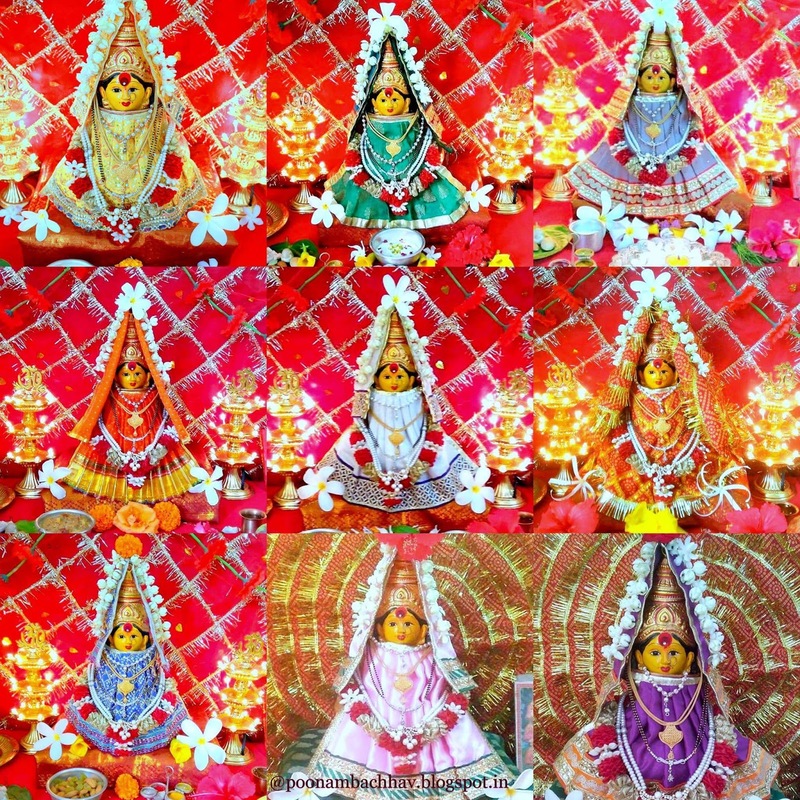 In eastern part of India, Navratri is celebrated as Durga Pooja while in Southern states of Tamil Nadu , Karnataka and Andhra Pradesh the highlight of Navratri is a doll and figurine display called Golu. The customs and traditions may be different but all of them have one common reason behind this celebration, the victory of good over evil ! Navratri festival is the time to purify our souls and cleanse our system. During this festivals, grains are not allowed and food with onion garlic is restricted. I have tried to provide the recipes of the fasting foods which are quick to make, easy to digest and at the same time would keep one hydrated and energetic through out the day while fasting. 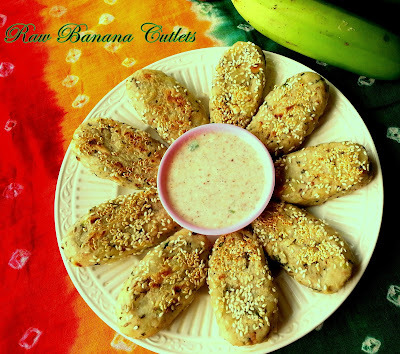 Raw Banana Cutlet: A crunchy, tasty and nutritious snack, that can serve as a filling fruit diet during fasting. 2. Barnyard Millet Upma : Samak rice upma is a delicious, gluten-free snack that is easy to digest and apt as fasting food. Serve it with curd or raita. 3. 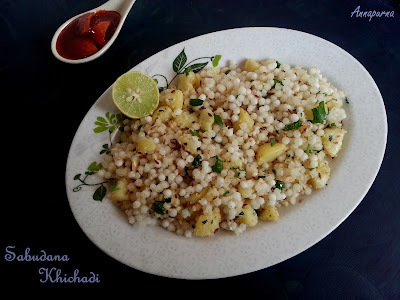 Sabudana Khichadi : Sabudana Khichadi is a stir fry of soaked sago pearls with crushed peanuts, boiled potato chunks and spices. This gluten-free dish is mildly spiced, slightly sweet and tangy in taste. Hot sabudana khichadi tastes great with a chilled bowl of sweetened yogurt and some Lemon Pickle. 4. 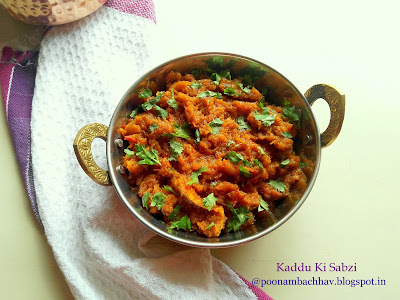 Khatta Meetha Kaddu is an onion-garlic free flavorful pumpkin curry which can be served with singhare ki poori. 5. Coconut Stuffed Banana: Bharva kela is a delicious snack in which ripe bananas are stuffed with coconut, jaggery, and nuts filling and then roasted in ghee. 6. Falahari Kaddu Ki Tikki is a delicious pumpkin and potato pattie which makes up for a filling fasting recipe when served with peanut yogurt dip. 7. 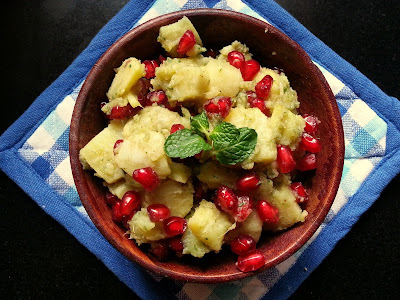 Shakarkandi Ki Chaat : This is a healthy oil-free snack made from boiled or baked sweet potato and mint chutney. (Skip chat masala in the recipe if making for fast). 8. 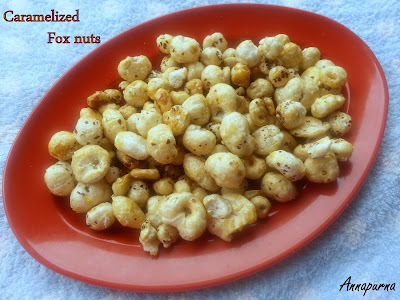 Meethe Makhane : Meethe Makhane or Caramelized Fox nuts, as the name suggest are roasted Fox nuts which are further tossed in caramelized sugar syrup is a healthy fasting snack. 9. 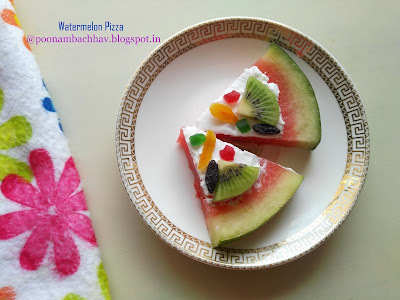 Watermelon Pizza: A healthy and refreshing fruit treat to keep you hydrated and energetic. 10. Khamang Kakdi : A flavorful cucumber salad from Maharashtrian cuisine. This salad will keep you hydrated while you are fasting. ( skip mustard seeds while tempering). 11. Dahi Shengdana Chutney : This is a protein-rich dip made from roasted peanuts, fresh curd, and basic Indian spices. Pairs very well with sabudana khichadi, raw banana cutlet, and Sabudana wada. 12. Instant Lemon Pickle : A 4 ingredient, oil-free instant lemon pickle which is tongue tickling and tastes great with sabudana khichadi and samak rice upma. 13. Pomegranate Raita : a refreshing and colorful yogurt based dish with pomegranate arils. 15. Sesame Seeds Chutney : Spicy dry chutney made from roasted sesame seeds, cumin seeds, and red chili powder. 16. Amla Chutney : a flavorful yogurt based dip made from fresh amla / Indian gooseberry and peanuts. 17. Naralachi Chutney: Fresh coconut chutney flavored with coriander and yogurt. A perfect accompaniment to all the fasting snack. 18. Strawberry Jam : 3 ingredient delicious jam made with fresh strawberries, jaggery, and lemon juice. 19. Aam ka murabba : Sweet and tangy raw mango preserve that can be served as side dish. 20. Strawberry Raita: A delicious, cool, and refreshing yogurt dip that can be made in a jiffy. Can be paired with sabudana khichadi or samak rice upma. 21. Badam Katli: A protein-rich almond fudge which can be easily made at home, and serve both as Naivedhyam to the goddess or as fasting food. 22. Instant Kalakand: A creamy delicacy made out of solidified sweetened milk, and cottage cheese/ paneer. 23. Bengali Sandesh: A melt in mouth, cottage cheese delicacy from Bengali cuisine. 24. Instant Peanut Coconut Ladoo: A delicious and quick dessert which can serve both as naivedhyam and as fasting food. 25. Dates and Nuts Ladoo: Dates and dry fruits both provide warmth to the body and hence these Dates and Nuts ladoos serve as a delicious, healthy and nutritious winter breakfast with energy punch to start the day , both for the ones who are fasting and even for those who are not. 26. Sesame Seeds and Jaggery Ladoo: These crunchy delectable ladoos provide warmth, and energy and keep you full. 27. Nariyal Barfi: A delectable fresh coconut fudge with a good shelf life on refrigeration. 28. Lauki Barfi: Gulkand flavored bottle gourd fudge which can be offered to the goddess as well as had as fasting food. 29. Rasgulla: refers to a spongy syrupy dessert made from chenna (cottage cheese) . These soft, spongy, white balls drenched in chilled sugar syrup can make any mouth water. 30. Anjeer Roll: This dried figs dates and nuts roll serve as delectable and nutritious snacks whether fasting or not. 31. Kesar Rabdi: creamy rich delight that needs just 3 basic ingredients namely milk , sugar and saffron. 32. Lauki Ki Kheer: this delectable bottle gourd is mildly flavored with green cardamom and nutmeg. 33. Mishti Doi: It is a fermented sweet yogurt from the Bengal cuisine. 34. Til Ki Barfi: This burfi / fudge is a perfect combination of nutty sesame seeds and peanuts with jaggery. The fudge is flavoured with green cardamom powder and garnish with almond slivers. 35. Sabudana Kheer: a delicious creamy sago pudding which is sweetened with caramel. 36. Nariyal Aam Burfi: A crumbly yet soft and delicate fudge with fresh coconut and mango . 37. 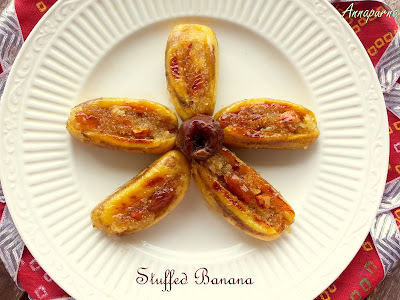 Bharva Kela: Coconut and gaggery stuffed banana. 38. Makhane Ki Kheer: A creamy rich foxnut - lotus seed pudding that is a preferred fasting food of North India. 39. Apple Rabadi: Apple Rabadi is a very delicious dessert made from evaporated milk and Apple. It is very easy to make, requires minimal ingredients and tastes divine. 40.Panchamrut: Panchamrut a holy Indian drink is a mixture of 5 ingredients , milk, sugar , ghee, curd and honey. Panchamrut is used for abhishekam ( bathing deity ), as naivedhyam (offering to God) and distributed among devotees after puja (worship) as prasadam. It can also serve as a fasting food ( food for vrat). 41. Homemade Khoya: Khoya also known as mava is coagulated milk solids. It forms the base for wide variety of Indian sweets like Gulab Jamun , Pedha , Gajar ka Halwa , Gujiya , Barfi / Fudge etc . 42. Strawberry Shrikhand: Strawberry Shrikhand is delectable, creamy, yogurt based dessert with the goodness of fresh strawberries. 43. Basundi: Basundi is a delicious and popular Maharashtrian dessert made by reducing milk which is further sweetened and flavored with Cardamom and Nutmeg. 44. Amrakhand: This exotic sweet dish is one of the easiest Mango desserts that can be made in a jiffy ( if we exclude the time for making hung curd). 45. Shrikhand: Shrikhand (Sour and Sweet yogurt based sweet dish ) is a perfect dessert for this festival. 46. Kesar Badam Matka Kulfi: A dense rich classic frozen dessert which is made by a slow process of condensing the full cream milk till it gets an irresistible texture and aroma. This sweetened condensed milk is further flavoured with Saffron and Cardamom and garnished with nuts like Almonds or Pistachios. 47. Aamras: Aamras is a delicious sweet mango treat , popular in the Indian states of Maharashtra and Gujarat. Basically it is a pulp or puree of a ripe mango which is usually flavoured with Saffron and Cardamom. 48. Puranpoli: Puran Poli is a popular Maharashtrian flat bread with a sweet lentil stuffing. We offer Puranpoli to goddess on ninth day, which is the last day of the navratri festival and open our fast with this dessert and pair it with rice kheer. 51. Dates Almonds and Walnut Milk Shake: A creamy rich milkshake with almonds and walnuts in which dates add as natural sweetener. 52. Masala Doodh: The Masala Doodh is a delicious sweet condensed milk enriched with nuts and flavoured with spices like Saffron , Nutmeg and green Cardamom. 53. Miracle Drink: This delicious , healthy and filling drink made with Apple, Beetroot and Carrot juice is rich in antioxidants, powerful enzymes and nutrients. 54. Mattha / spiced butter milk: A refreshing coolant which is very good for digestion. The butter milk is spiced with ginger , roasted cumin powder, green chilly, and rock salt and addition of fresh Coriander leaves makes it all the more flavorful. 55. Strawberry Milkshake: A cool creamy refreshing drink made that can be made using fresh or frozen strawberries and milk. In the Northern and Western India, devotees observe 9 days fast (vrat) during the Navratri festival, whereas in the South India devotees only worship the deity and do not observe fasting. They prepare various sundal and sweets to offer to the goddess as Naivedhyam and the food is then distributed as prasad (blessed food). Following are the links to few South Indian dishes apt for the festivity. 56. Chickpea Sundal: Chickpea Sundal is common and simplest yet delicious among the Sundal recipes. An aromatic and flavorful Chickpea stir fry recipe in which the boiled chana ( kabuli Chana) are tempered with Curry Leaves , Spices and Coconut. This snack is spicy and slightly tangy in taste and can be easily prepared in very less time. 57. Sweet Corn Sundal: Sweet Corn sundal is delicious , healthy and filling and can be made very easily with corn and basic tempering ingredients. It is one of the simplest and quickest of all sundal varieties. 58. Pineapple Kesari: It is a delicious sweet preparation where Suji halwa is flavored with Pineapples. Pineapple puree or pineapple chunks cooked in sugar syrup can be added to the roasted Suji. 59. Puliyodharai: tamarind rice preparation, Pulihora is a popular travel food known for its long shelf life. One can also find this rice served as Naivedhyam (Prasad) in most of the South Indian Temples. This classic dish is a perfect blend of tangy and spicy flavors. 60. Sakkarai Pongal: A delectable dessert in which rice and mung lentil is cooked with ghee and jaggery and flavored with cardamom and nuts. 61. Chitranna: is basically a lemon flavored rice preparation popular in South India. It is a crunchy flavorful dish prepared my mixing steamed rice with a special seasoning of mustard seeds, lentils, curry leaves, peanuts and chilies and further flavored with lemon juice. It is considered an auspicious dish and made on festivals and offered as Naivedhyam to the deity. 62. Gudanna: Gudanna / Bella da Anna is a traditional rice dessert from the Karnataka Cuisine. "Guda"or "Bella" means jaggery in Kannada and "Anna" means rice , so basically this is a sweetened rice where jaggery acts as a sweetener and the flavor comes from ghee, cardamom and coconut. Gudanna is a festive dish made on special occasions and festivals, like Varalakshmi Puja and Navratri and offered as a Naivedhyam to the deity. It is one of the quickest and easiest dessert to put together without compromising on the taste. 63. Thayir Sadam: a simple yet delicious yogurt flavoured rice dish from South India. 64. Medu Vada: Medu Vada is a doughnut shaped deep fried Urad dal (split black lentil) fritter which is very famous South Indian snack. 65. Bengali Vegetarian Thali / Durga Pooja Special Platter: There are many more dishes that can be offered to the goddess during Navratri festival. I will update the post as and when required and try to add more Naivedhyam and fasting recipes for this festivity. 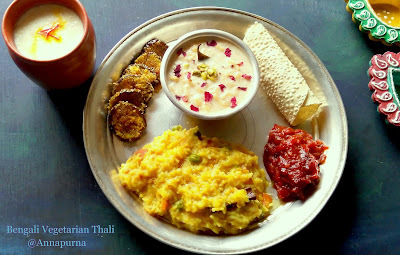 To wind up the post , i will share a mini Bengali vegetarian platter as my 65th recipe of this post that can be made as offering to the goddess on Durga Pooja day. 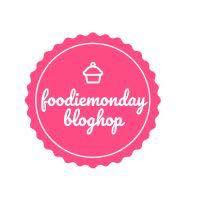 Sending this collection of 65 recipes to the #165th #FoodieMondayBloghop where the theme for this week is #Navratri Special. I hope this post will be helpful to many of you for preparing for the upcoming Navratri Festival. If you ever try any of these recipe , do share your feedback with us in the comment section below. Wishing a very Happy and Blessed Navratri Festival to all those who Celebrate !! What an awesome collection Poonam.. you sure are a busybody during the festivals. Thank you di. You are right, festivals keep me pretty busy. Wonderful collection Poonam. All the mouthwatering recipes are here. Awesome share. Thank you so much di.I am glad you liked the collection. Haha Ritu..that's very kind of you. Thanks. What a special collection this truly is! So many yummy and festive recipes perfect for the season! Yes Sandhya the compilation is festive . Hope it is of some help to you during this Navratri. Oh my!!! Such a beautiful collection of festive dishes! 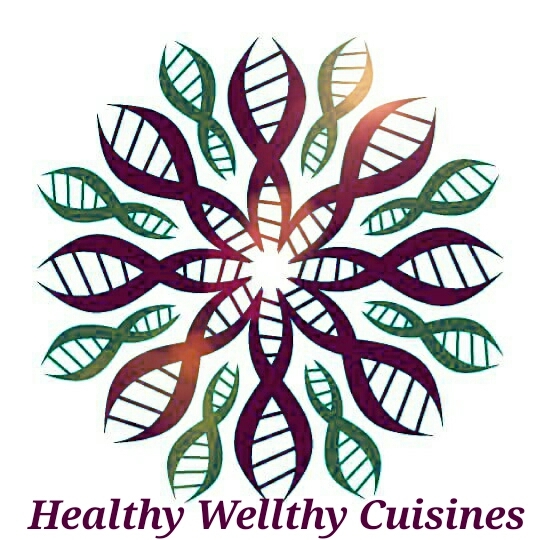 A one-stop place for anyone looking for Navratri dishes! Wow, what a beautiful collection of festive dishes.Bookmarked it .Thanks for sharing. Wow Poonam , hatsoff. Amazing and very useful post. Beautiful collection of recipes. Bookmarking it. Thank you Ruchi. 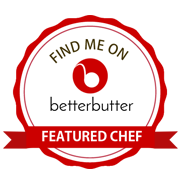 Looking forward to hearing from you on the feedback, once you try the recipes. This is a huge task you have accomplished. Well done ! Wow Poonam hats off to you this is such an amazing collection of recipes for the coming festivities just loved each and every recipe in there. Thank you Soma. Hope this post would proove helpful in deciding the fasting menu for Navratri. What a collection Poonam.loved every recipe!Every recipe is a masterpiece! You are very kind with your words Seema. Thank you for the loblov feedback. 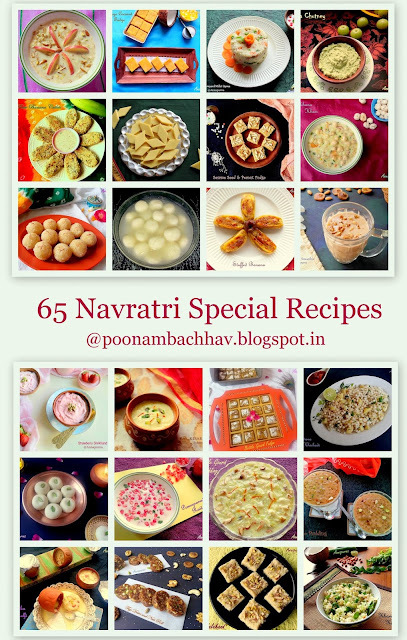 65 fabulous recipes Poonam! Absolutely wonderful collection and trust me, with this blog post, it will not at all be difficult to plan the menu for the 9 days. Happy Navratri to you and family. Happy Navratri to you as well Vidya. My aim to write this post itself was to make planning for Navratri an easy affair. I am glad to know, you felt it worth . Sure will do that Bhavana. Thank you. Thank you so much for the lovely feedback Jolly. I am so happy you found the post helpful. 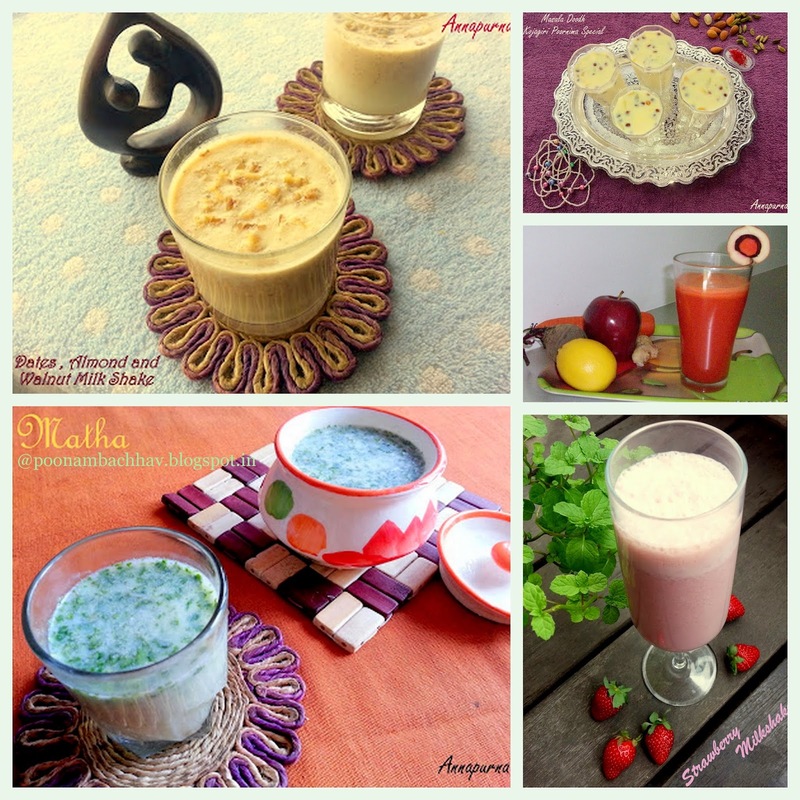 Do share your feedback with us , if you try any of these recipes. 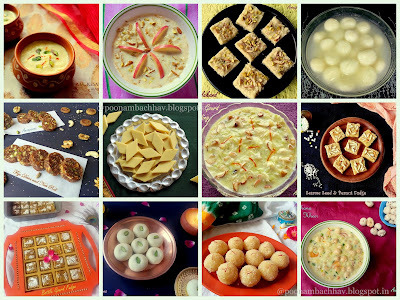 Wow collection of Navratri recipes, Poonam. 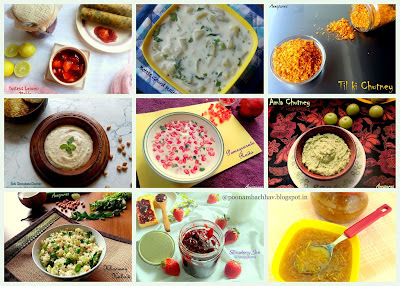 What an incredible collection of mouthwatering recipes dear Poonam :) I must say a storehouse of fabulous dishes. Well done! Thank you Meghna for your kind words. 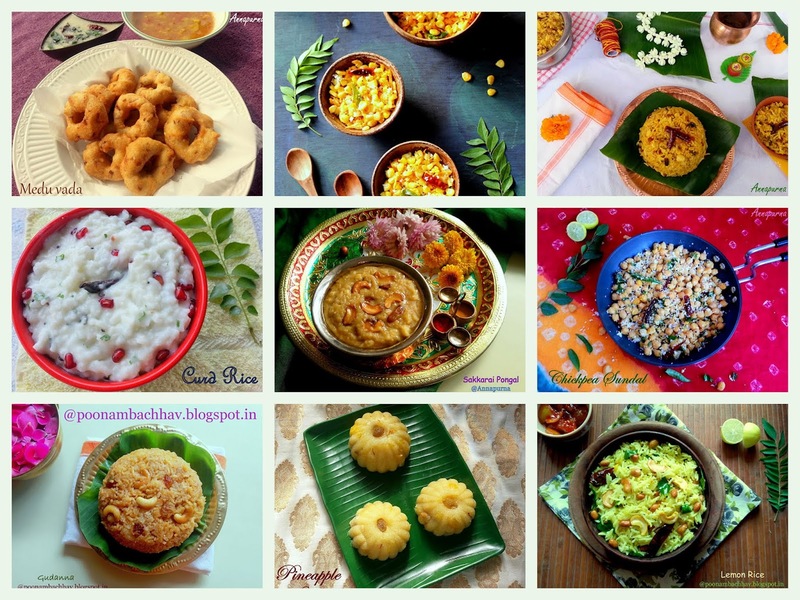 Oh gosh, with all of these 65 recipes, I can fast any day :) such a lovely and delicious recipes for Navratri. Absolutely Jagruti..we can literally feast with so many delicious choice for fasting . Thank you Sasmita..do give it a try for few of them. A wonderful compilation of Navratri recipes. Such a breeze to plan a menu. I am really flabbergasted. Thank you so much di for your lovely feedback. Thanks a lot Kriti. I am glad you liked the post.